It all started more than a year ago in the family kitchen of Jon and Kathy Weed. They were looking to create a recipe for a peanut butter that they would enjoy eating, while also hoping to give their children, Jackson, age 15, Julia, age 13, and Sawyer, age 8, an education in running a small business. Weed said it’s been a tremendously positive experience. “It really is a peanut butter that you don’t necessarily put on a sandwich. 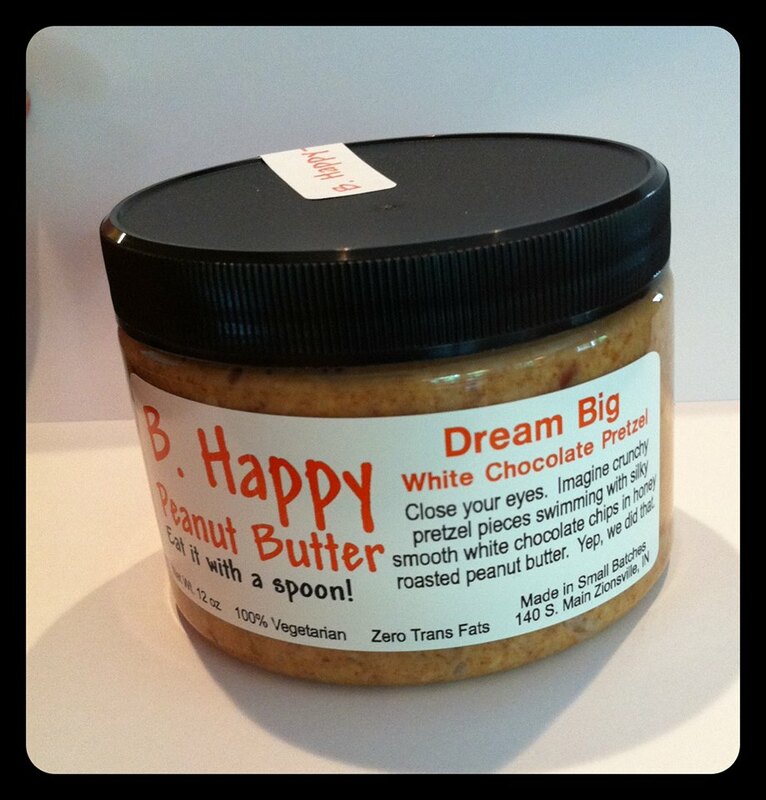 Our plan was to make the peanut butter really good enough to eat on its own,” Weed said. But in the beginning, perfecting the peanut butter recipe took a lot of trial and error. “We went through eight months of trying honey roasted peanuts before we found the place that we liked the best. That was probably the hardest part,” he said. All five of the Weeds have a hand in creating and selling their peanut butter. They sit down together to have quarterly business meetings and go through the numbers. In fact, their youngest son, Sawyer, is somewhat of a spokesperson at his school, Eagle Elementary, where he has talked to second and third grade classes about running a family business. After B. Happy appeared on the Fox 59 Morning Show with Sherman Burdette in early December, B. Happy Peanut Butter really started flying off the shelves. “We were totally unprepared for the explosion that was going to bring. All of a sudden the stores could not keep it on the shelves. At one point on Dec. 20, we just had to put a sign up that said I’m sorry we are done for the year and taking a family vacation,” Weed said. B. Happy Peanut Butter can be found in several locations around Indianapolis. The largest supporter and retailer of B. Happy is Inga’s Popcorn in Zionsville, where the Weed family now makes their peanut butter, working out of Inga’s larger commercial kitchen. Plans for future expansion include completing a website and acquiring their own commercial storefront in the near future. Weed said he couldn’t be happier or more appreciative of Inga’s Popcorn for their help in getting started. Inga Smith, owner of Inga’s Popcorn said it’s been great helping B. Happy. “[Jon] comes in twice a week and makes the peanut butter and everyone loves it,” Smith said.